Do you provide child safety seats in case I'm travelling with a small child? Of course. If you are not booking through our website, please let us know prior to your arrival. Is it cheaper to get a street taxi from airport? Our fare for the transfer from Athens Airport (El.Venizelos) to Athens City Center is 39euros. This is one of the cheapest prices you can find even if you get a street taxi. However, there are many more reasons to book a Taxi from Athens Taxi Quality: First of all the price is fixed, you don't have to negotiate or to take a risk that you'll be overcharged. Alternative ways of payment other than cash are also available. Also, all our taxis provide free Wi-Fi access, a usefull tourist map of the city center of Athens and a cold bottle of water for each passenger. Furthermore, all our drivers are experienced and carefully chosen and our taxi fleet consists only of luxury and safe vehicles. How do you select the taxi drivers that work for Athens Taxi Quality? We choose experienced drivers that match our company profile. Our main focus is always safety, kindness and customer satisfaction. Can I cancel my request if my trip is also canceled? Of course you can! Just send us an email 24 hours prior to your (canceled) arrival. If you have already paid for your transfer we will return the full amount detacting any bank charges that may apply. What is offered in the city tour that you provide? Our City Tour includes a tour to the most important sight attractions of the historical Athens city center, such as the Greek Parliament (Syntagma Square), the Presidential Mansion , the Temple of Olympian Zeus (also known as the Olympieion), the Panathenaic Stadium , Acropolis, and the Museum of Acropolis The City Tour can last between 2 and 4 hours depending on the time you wish to spend at each sight. Is there an extra cost for additional passengers? The cost is for hiring the taxi and not per person. Thus, the price is the same whether there is 1 or 4 passengers. Are pets allowed in your Taxis? Do you offer transfer to other parts of Greece apart from Athens? Yes! We can pick you up from any part of Greece and provide transfer to any destination. 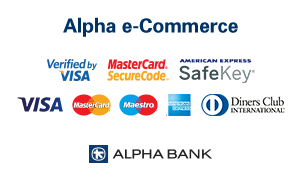 If you are boarding outside Athens, the taxi fare has to be prepaid through our website. How would I know that you received my booking? Will the taxi driver wait for me in the airport? How will he recognise me? Your driver will be waiting for you in the arrivals area of the Airport holding our company's sign with your name on it. What is the brand/model of your taxis? What happens if the flight to Athens Airport is delayed? We always stay informed about changes in flight arrival times, so you can be sure that our driver will be waiting for you when your plane lands. We are 5 people travelling. Can we use 1 taxi? No, you can't even if the 5th person is a small child. First of all is a matter of safety and also it is forbitten by law. In this case you will need to hire 2 taxis. Can I book the taxi to have it available for as many days as I want? Of course! You just have to contact us at least 24 hours prior to the 1st day you'll need the taxi. We'll need to know how many days you'll need the taxi for, and a rough estimation of your travel schedule. Is there a Wi-Fi service in your taxis? Yes, you can browse the internet or check your emails while travelling with any of our taxis. Is there anything extra included in the taxi fee? All our taxis provide free Wi-Fi access, a usefull tourist map of the city center of Athens and a cold bottle of water for each passenger. Do you offer a refund in case I cancel my booking? Of course you can! Just send us an email 24 hours prior to you (canceled) arrival. If you have already pay for your transfer we will return the full amount detacting any bank charges that may apply.